I am the first Danish speechwriter ever to win any. I wrote the speech Climate Change and the Story of Sarah for former Danish Minister for Climate, Energy and Building (now Foreign Affairs), Martin Lidegaard. The speech is written for an international conference on reproductive health May 23, 2013 in Copenhagen. That means that the audience consists of doctors and medical scientists. It also means that the Ministry does not have an office or a department expert who knows about reproductive health. It is not our normal area of expertice. That is why I was given rather free hand to structure an argument according to the ministers wishes. And to use numbers and stats from WHO and UNFCCC. They are the sources for the numbers in the speech. Martin Lidegaard wanted a speech that was not what the audience expected. Every medical person has heard the argument that population growth is a threat to our planets ressources. That was not what the Minister wanted to say, he wanted to make the case for doctors to do their job AND combat climate change, not either/or. He wanted to bring it right back to earth sort to say. 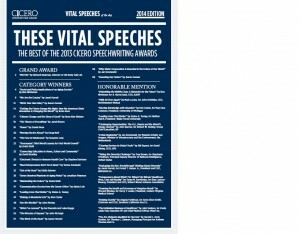 For me it is very humbling to see my name among some of the best speechwriters in the world. I think it is a symbol of speechwriting gaining ground in a world that is less personal and more fragmented. Speechwriting done right can show authenticity and leadership in a world wary of mass communication without a face. Martin Lidegaard had the courage to tell a story that made the climate crisis both personal and physical. I want to thank him for that. I have also got the assessments from two of the judges and wanted to share them. 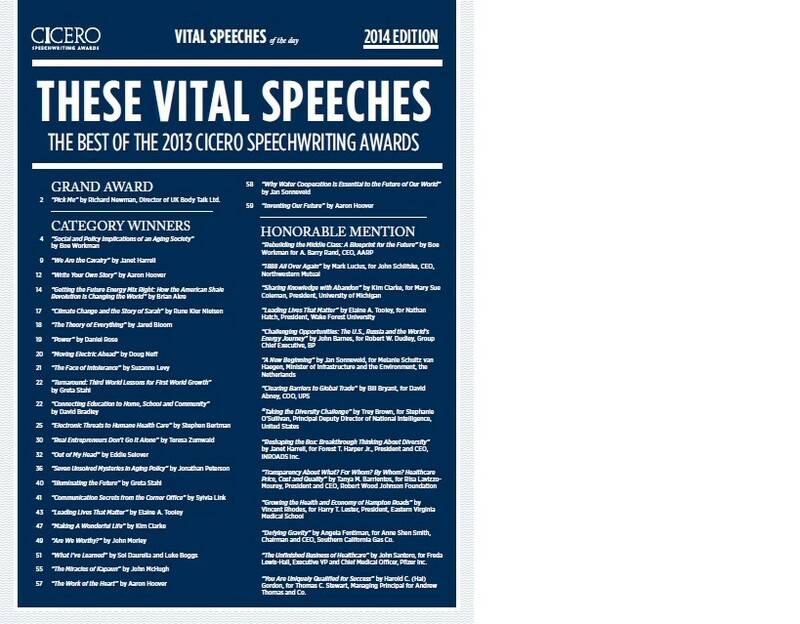 Getting a Cicero Speechwriting Award is no doubt the highlight of my career (so far, I wonder), but their words made me jump up and down in our apartment kitchen fearing to wake up my daughter. If you liked reading this post, you might also like reading the follow up. Here I go into more depth about the writing and I show the life it gained after the award. It is called Climate, Sarah and the Story of a Cicero Award.